The Great Plaza at Penn's Landing. Philly's Islamic community is bringing live entertainment and celebrations of cultural unity to the waterfront for the 23rd Annual ICPIC Islamic Heritage Festival and Parade. Courtesy of the Islamic Cultural Preservation and Information Council, the festival will host events Friday, June 12 and Saturday, June 13. It all starts with a congregational prayer, or jummah, June 12 at 1 p.m. in Independence National Historical Park. Under a big tent, guest speaker Imam Muhammad Abdul-Aleem will lead this commemoration of the 40th anniversary of Imam W. D. Mohammed’s leadership. Participants are encouraged to bring prayer rugs. To kick off Saturday's events, the Unity in Diversity Parade will leave from 5th and Market Street at 1 p.m. Youth groups, drill teams, schools and community organizations will participate in the parade, which will wind its way toward Penn's Landing. 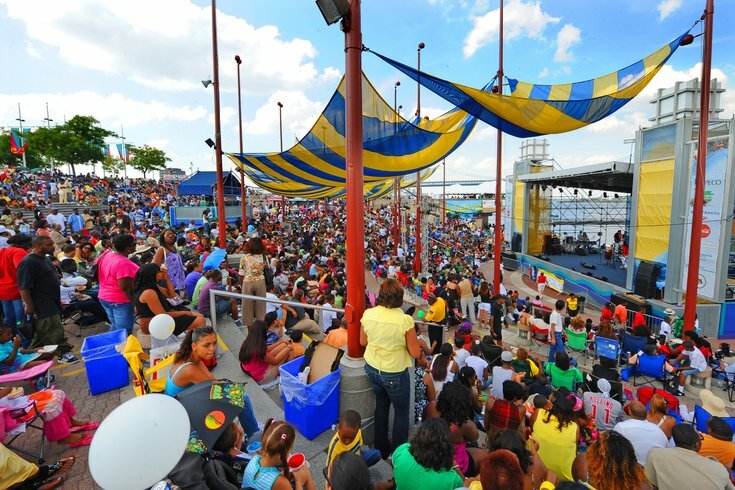 Once at Penn's Landing, the festival begins, and it includes live entertainment, kids' games, a fashion show, exhibitors, speakers, giveaways, a global open market bazaar, a health fair and more. Hip-hop artist Miss Undastood, Moses the Comic, motivational speaker and author Seff Al-Afriqi and the Poet Emcee will all perform.